Petrol, diesel prices remain unchanged for the second consecutive day. 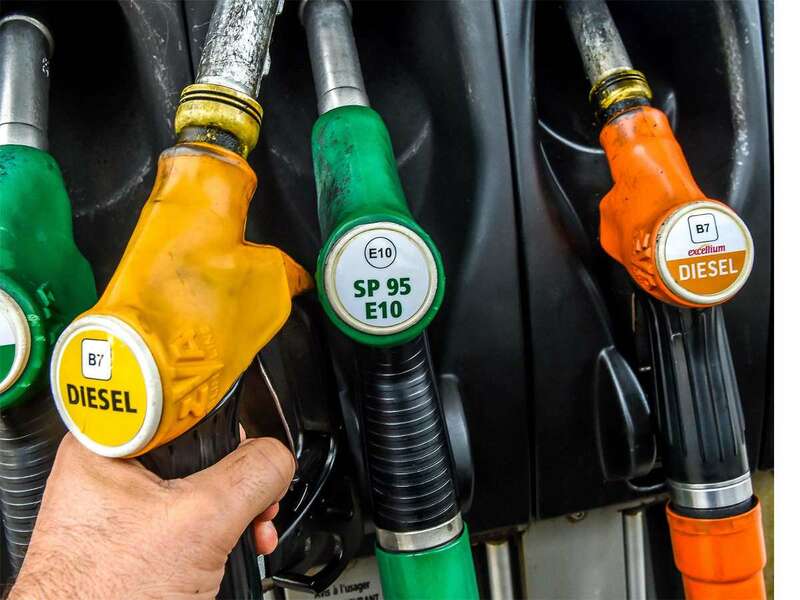 State-owned oil marketing companies kept the retail petrol and diesel prices unchanged for a second day on Thursday (April 11) across major cities of the country. In national capital Delhi, petrol is being sold for Rs 72.80 per litre while diesel costs Rs 66.11 a litre, no change compared with yesterday’s price. On Tuesday, petrol prices were reduced by 5 paisa per litre, while diesel prices remained static across four major cities in the country. It is worth noting that petrol and diesel prices in Delhi are the cheapest among all metros and most state capitals due to lower taxes. In Mumbai, petrol and diesel are selling for Rs 78.37 a litre and Rs 69.19 per litre, as per data available with Indian Oil Corp website. Similarly, petrol is retailing at Rs 74.82 per litre and diesel can be availed at 67.85 a litre in Kolkata, no change in rates as against Wednesday’s prices. People in Chennai have to shell out Rs 75.56 for a litre of petrol while diesel retailed at Rs 69.80 per litre. In Gurugram also, petrol price remained stagnant at Rs 72.69 and diesel price at Rs 65.33 a litre. In Noida, petrol, diesel prices remained stable at Rs 72.15 and Rs 65.23 respectively. The retail price of petrol was hiked by about Rs 4 a litre and that of diesel by about Rs 5 a litre since the beginning of this year. In October 2018, petrol prices had peaked to a record high of Rs 84 per litre in Delhi and Rs 91.34 in Mumbai. Diesel prices went up to Rs 75.45 a litre in Delhi and Rs 80.10 in Mumbai. On Thursday, in the international oil market, crude prices dipped following US crude stocks soared amid record production. International Brent crude oil futures were trading at USD 71.57 per barrel, down 16 cents, or 0.2 per cent, from their last close.